Before Airbnb, the idea of renting out a room in your home to a complete stranger seemed absolutely absurd. To some, it still is. However, there’s no denying that the service has taken off and is becoming a true mainstream alternative to staying in a hotel for some. Today, the company has announced that it has reached an impressive milestone of booking 10 million guest nights. That’s an astounding 5 million increase in just the last five months. This time last year, the number was at 2 million nights booked. To help some people make the decision to offer up their place for cash, Airbnb upped its “Host Guarantee” to $1M last month to cover any issues or damage that could be caused by a potential renter. This tremendous growth in the number of nights booked on Airbnb means that more and more hosts in the U.S. and internationally are connecting to the sharing economy, renting out their extra space to create unique experiences for their guests and generating income that improves their life. In return, this leads to more sustainable and productive communities and helps to drive new business to the existing businesses in each area. If the 10M nights book statistic doesn’t grab your attention, the company also shared that 4.4M of those nights booked came within the U.S., which is an increase of 300% from this time last year. That also means that Airbnb has slightly more traction outside of the States, which is pretty interesting, considering that the company started in San Francisco. Airbnb currently has over 200,000 active listings worldwide, and the company says that a night of travel is booked on Airbnb every two seconds. When it started in 2008, it was one night of travel per day. 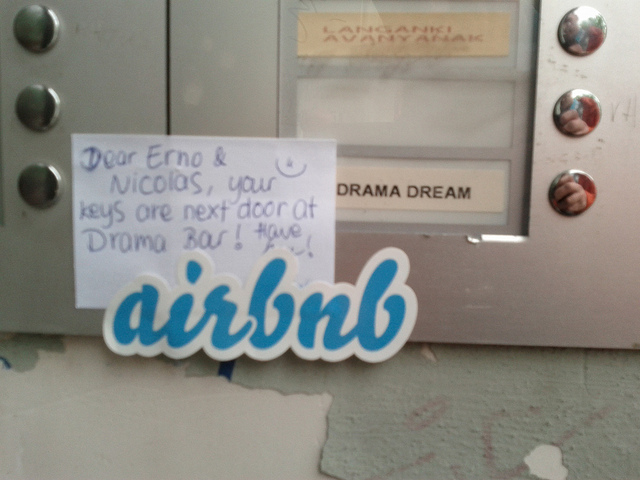 My personal experiences with Airbnb have been pretty good, and I’ve found my hosts easy to deal with. I’m not a fan of hotels and would much rather stay somewhere that feels like a “home.” It looks like I’m not the only one. You can check out this cool full-page infographic from Airbnb, with more details on its milestone.